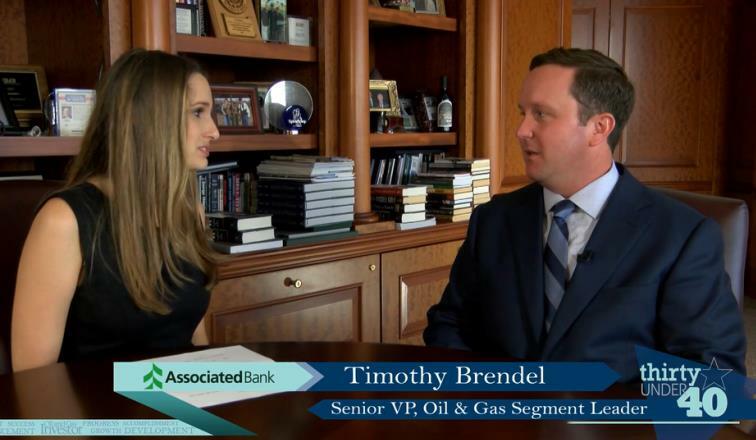 Tim Brendel of Associated Bank was recently recognized by Oil and Gas Investor as a Thirty Under 40 recipient. Opened company’s physical office in Houston. Launched the oil and gas group at age of 28; since its inception, group has extended financing to 50-plus borrowers primarily in upstream, totaling in excess of $1 billion. Recruited and leads team of nine professionals on staff, as well as two on-staff petroleum engineers.